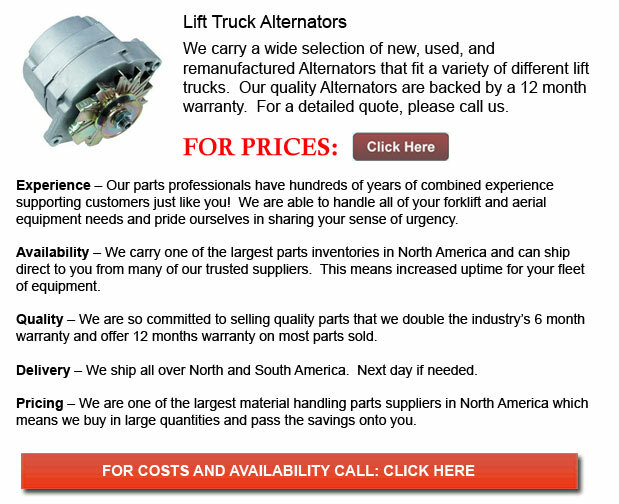 An alternator is a machine which converts mechanical energy into electric energy. It does this in the form of an electrical current. In essence, an AC electrical generator can be labeled an alternator. The word usually refers to a rotating, small device driven by automotive and various internal combustion engines. Alternators which are placed in power stations and are driven by steam turbines are actually called turbo-alternators. The majority of these machines use a rotating magnetic field but occasionally linear alternators are also used. A current is generated inside the conductor when the magnetic field around the conductor changes. Generally the rotor, a rotating magnet, spins within a set of stationary conductors wound in coils. The coils are situated on an iron core called the stator. When the field cuts across the conductors, an induced electromagnetic field or EMF is generated as the mechanical input causes the rotor to revolve. This rotating magnetic field produces an AC voltage in the stator windings. Normally, there are 3 sets of stator windings. These physically offset so that the rotating magnetic field produces 3 phase currents, displaced by one-third of a period with respect to each other. "Brushless" alternators - these make use of brushes and slip rings together with a rotor winding or a permanent magnet in order to induce a magnetic field of current. Brushlees AC generators are usually found in larger machines like industrial sized lifting equipment. A rotor magnetic field can be produced by a stationary field winding with moving poles in the rotor. Automotive alternators usually make use of a rotor winding that allows control of the voltage induced by the alternator. This is done by changing the current in the rotor field winding. Permanent magnet devices avoid the loss due to the magnetizing current within the rotor. These devices are restricted in size due to the price of the magnet material. As the permanent magnet field is constant, the terminal voltage varies directly with the generator speed.